Laptop, Desktop repair services. Resale of donated goods. USB Interface. Our products are security marked to stop fraud. Computer Support Service. At this point, the item will be re-listed. Cash / Card. The PC foot switch RS-24 can be connected to your PC either via USB or serial port. The RS-24 was only supplied within the AS-3000 and AS-2000 transcription kits. The latest recording technology combines ergonomically designed hardware with ingenious dictation and transcription software, and makes your dictation experience convenient as never before. Not the full starter kit, there are a few parts missing. 3 pedal design (Fast Rewind, Fast Forward and Playback). Key Features. Slim design for minimized physical strain. This item is a refurbished unit and has been tested for full functionality. At despatch, I will also test the item once again to ensure there are no problems. MODEL: LFH 0210. For Transcription Dictation. Black Uher foot pedal. Desktop dictation accessory. VGA cable for connection. 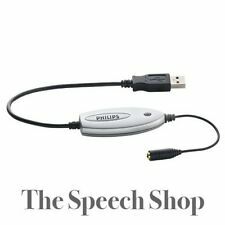 Ideal for accessory for listening to voice recordings and dictations. RS24 pedal (for Serial connection or USB connection). An Olympus transcription kit in excellent condition (hardly used). DSS software on CD. There’s a lot of info in here. If you’re interested, jump straight to Pickup (from Cannon Hill) is free. Do you think the price is too high?. I don't have any way to test this, but I have no reason to believe it isn't working. 5 piece Dictation cassette. for dictation devices. Marke MAGNA. -Save up to 80% of your printing costs. Micro-cassette 2 x 15 minutes. Micro-cassette 2 x 30 minutes. -Best quality-12 month warranty ! 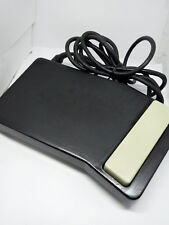 Philips LFH 2310 Foot Pedal - USB Foot Controller for Dictation / Stenography. Condition is Used. Dispatched with Royal Mail 1st Class. Sanyo FS-USB1 Foot Pedal. For Use With Digital Transcription/Dictation Machines. Tested In Full Working Order, Nice Condition ! OLYMPUS FOOT PEDAL WITH SERIAL CONNECTION. 5 piece Dictation cassette. for dictation devices. Marke MAGNA. Mini cassette 2 x 15 minutes. Micro-cassette 2 x 15 minutes. -Save up to 80% of your printing costs. All used trademarks are subject to the law of their respective owners. Olympus Optical Co. LTD. Marke Olympus. Das Symbol der durchgekreuzten Mülltonne bedeutet, dass die Batterie nicht in den Hausmüll gegeben werden darf. Sie sind zur Rückgabe gebrauchter Batterien als Endnutzer gesetzlich verpflichtet. § For voice recorder genius VR-230A or other Micro cassette systems (Sanyo.). Marke Magna. § Capacity: each Cassette 2 x 15 Minutes. each Tray 2 x 15 Minutes. Model 0350475. UPC Does not apply. Monophonic Earphones. 3.5mm monophonic jack with right-angled plug. OLYMPUS Mono Earphones. High quality Olympus earphones Cable length: 110cm (plug to earphone). Condition: NEW, Sealed. 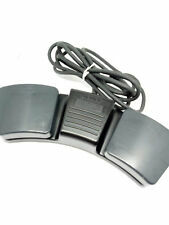 Philips ACC2310/00 USB One-Touch Control Foot Pad 3 Pedal. Condition is New. Dispatched with Royal Mail 1st Class. Model DH-50T. Country of Manufacture China. Country/Region of Manufacture China. Includes clip on stand for microphone. We do NOT accept non sterling cheques/money orders. Swingphone 562 Headphone. New In Box. Is significantly different from the item described. Pb = battery contains more than 0,004 mass percent lead. Cd = battery contains more than 0,002 mass percent cadmium. Input 240v / Output 9.5 - 10.4v 1a. 10 volt / 1200ma. Tested in Full Working Order. The symbol of the crossed out wheeled bin indicates that the battery should not be treated as household waste. Marke Sony. Marke Grundig. Product is in order. Olympus RS24 Foot Switch Transcription / Dictation Pedal for PC or Mac Brand New. Condition is New. Dispatched with Royal Mail 1st Class. Infinity Transcription Foot Pedal Bundle. 1 x Infinity USB Transcription Foot Pedal. Infinity USB Foot Pedal Features. Three-button USB foot pedal makes transcribing fast and efficient. Voice Recorders.